I have loved a number of books that turned out to be problematic. Harry Potter and The Lunar Chronicles jump to mind. Learning that your fave has a serious flaw can be a hard thing to grapple with. The first time I found out that Harry Potter was problematic, I went through several stages before coming to terms with it. I like to think I get to acceptance much quicker these days, but it's interesting to look back and reflect on why I reacted the way I did back then. I don't remember where I was or when it was that I first heard criticisms against Potter. Not the 'it's a dumb story for kids' kind of ignorant critique, but thoughtful analyses of its representations of diversity (or lack thereof). I do remember my initial reactions though. There was this instant, fierce protectiveness rising in me, and I was tempted to stick my fingers in my ears. I didn't want to hear a single bad word against the series that was/is so important to me. I needed it to stay perfect in my head. How is it possible that I never noticed the problems? Moreover, how did I fall in love with a book with serious issues?? Accepting that my favourites are problematic involved acknowledging my ignorance, and that didn't feel great. This was particularly true for problematic aspects such as bungled representation or lack of diversity. It was uncomfortable for me to realise that these things were not on my mind at all while I was reading. It made me feel that I was a terrible person for not noticing. Eventually, I acknowledged that I had blindspots, and the only way to get rid of them was to listen to the people who pointed them out. The funny thing is, once I listened to the thoughtful criticisms, I agreed. Also, I didn't end up loving Potter any less. I just stopped putting it on a pedestal. These days, I don't go through quite the same stages. The instincts to be defensive is still be there, but I move past it faster to get to acceptance. So, I guess the lesson for me was this: being defensive about my favourites only put me at a disadvantage. I learned a lot by listening to discussions and analyses of my favourite novels - even if I wince a little while I do - and I like to think that I'm less ignorant for it. Also, I think it's okay to continue loving your favourite even after recognising that it has problems. Granted, it has yet to happen that I realise a book I love is so horrendously problematic that I have to rescind my love for it. Where that uncrossable line is is a discussion for another post though. Have you ever gone through the same stages? Do you have a problematic favourite? I love this post! So true, there's a tendency to be defensive, but we have to move past that and look at what people are really saying. Yes! Moving past that defensiveness is always the hardest part for me, but often it's worth it. I don't think I have gone through the stages when I read commentary about my favorites. 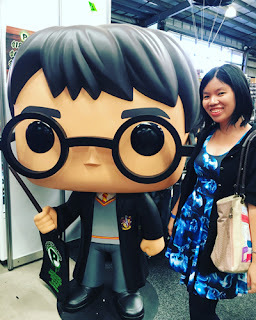 I absolutely love Harry Potter and The Lunar Chronicles (mentioned above) and even the Throne of Glass series and I know there are problems with it with regards to diversity. Yes, there are issues with these books but I still enjoy them as they are. Good literature. On the other hand, I also understand the importance of calling for diversity in literature. Fair enough! :) I still love my problematic favourites. I definitely get a little defensive when I hear negativity about a book I love. I do think it's possible to still love a book that people find problematic, though (as long as the issues are too terrible). It's good to hear those thoughts and look at the books with fresh eyes and see that they're definitely not perfect. Absolutely. It's shocking to find your favourite lacking when viewed from someone else's perspective, but it can be a learning experience too. Great post, is it awful I'd never thought of Harry Potter as problematic? Going through the stages in your post now, haha. I think at least with J.K Rowling you can tell she does make an effort, even if she doesn't always get it right. I've been re-reading Gone with the Wind which is hugely problematic - denial isn't even an option with that one. Haha, not awful at all! I didn't realise until only recently. I haven't read Gone With the Wind, but I'll definitely keep that in mind if I ever do! I'm the same, tbh! I think representation is quite personal sometimes, or that we're used to certain (mis)representations, so that even POCs may not spot or agree on a problem. LOL! I give up I didn't find the problematic reviews about LC! What did people find problematic about it???? It's mentioned in this post here: https://pupuutc.wordpress.com/2017/03/25/the-diversity-corner-2-march-updates-asian-representation-and-april-new-releases/. :D Basically, the Asia in Lunar Chronicles is one big entity, which overlooks the fact that it's actually quite diverse. Plus other things that Puput talks about in the post! In general, I'm fine discussing books in depth, what people liked and didn't like. I think it's great to hear differing opinions because reading is such a subjective experience. Sometimes people point out things I never noticed. Sometimes they point out things I noticed but weren't large enough to detract from my enjoyment of the story. And sometimes I point out two billion things that no one else cares about. ^^; It's give and take. It's also really interesting to analyze the perspectives, presuppositions and definitions informing people's perception of books. Or at least, I find it interesting, but I'm a total nerd. :) Thanks so much for sharing your thoughts, Cilla! Park, and definitely went through the stages you describe when I first read about problematic aspects around Park and his family. I appreciate that others with more background knowledge or different points of view are willing to point out things I may have glossed over, even if it makes me feel defensive towards authors and books that mean a lot to me. I haven't thought about Little House as problematic, as I haven't read it in a long time, but I can imagine that it would be!